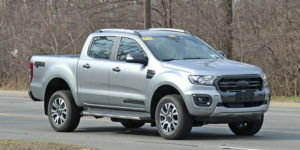 According to the latest rumors, we will see one more mid-size pickup truck before the end of the 2019 year. The workhorse will reportedly come from Subaru and will be based on the all-new Ascent SUV. This makes sense, because the segment grows rapidly and, what’s far more important, the Japanese car manufacturer has a certain experience, so the job isn’t going to be a problem at all. 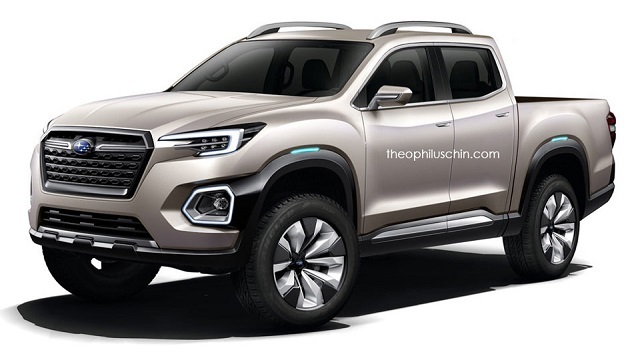 If this turns out to be the truth, we can expect to see the 2020 Subaru Baja. The manufacturer used the nameplate before, so why would they seek for anything different. The 2020 Subaru pickup truck will likely feature pretty much the same footprint as Honda’s amazing Ridgeline workhorse. It’s going to sport pretty much the same front-end design as the upcoming Ascent. 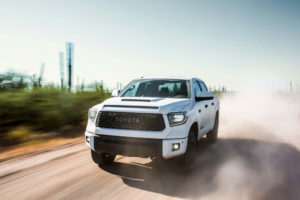 As the SUV hosts amazing headlights and attractive grille, we expect nothing less for the truck. The rear end is going to host a long bed. Unofficially, the 2020 Baja will be 15 inches longer than the SUV, which should be around 215 inches. Subaru will not disregard the cab of course. The interior will probably host the same tech as the aforementioned crossover sibling. Plus, it might add some special features for trucks. The 2020 Subaru Baja should be a capable little fellow thanks to carmaker’s all-new four-cylinder engine. The 2.4-liter gasoline mill will allegedly deliver up to 300 horsepower, which will feed all four wheels via a CVT gearbox. Take that Ridgeline! Some reports indicate that the future truck could also employ some kind of hybrid as well. Still, there is nothing on this at the moment. If the pickup really arrives it’s going to cost around $30,000. For we know? Well, it’s pretty simple, because the Honda Ridgeline starts just a bit over the price tag. Are there any interior pictures of the 2020 Baja? Will there be a V6 option?